As a real estate development, management and investment company, our attention to detail and business infrastructure is vital to our success. While our developments are highly sought after, the first thing to come to mind is not necessarily our strong connection and intentionality with art . We’ve always been inspired by art – the stories it can tell and the benefits it can bring to our vibrant communities. We hope that that passion can be seen through every detail starting with the blueprints and finishing with the final hand-crafted vase placed on the bookshelves of our community leasing offices. 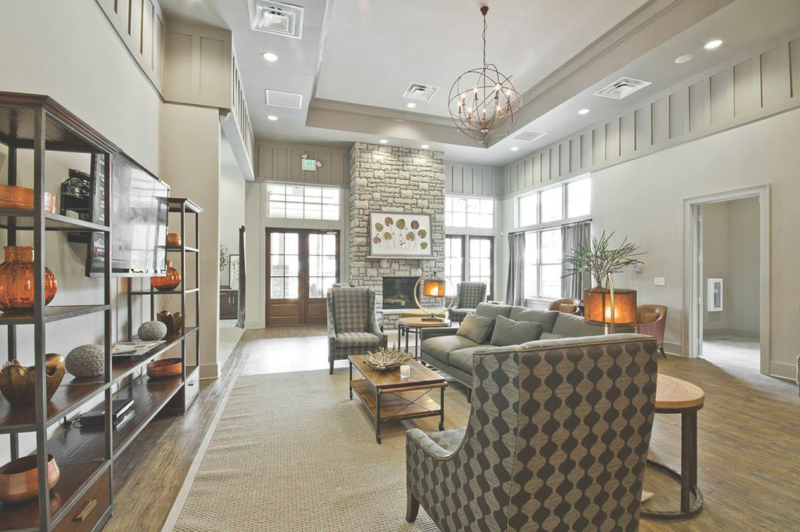 We had the privilege of sitting down with our very own Ellen Mundy, to discuss the interior design process and working closely with artists to create our one-of-a-kind communities. I have been with Estates since May of 2015; however, my Dad started Estates & Companies in 1988 the year before I was born and I have grown up being a part of the company ever since. I even worked my high school summers at 42 Magnolia in the leasing office. Since those summers I have completed a Bachelors of Fine Arts in Visual Arts and received a Master’s degree in Real Estate Development from Clemson University. My position at Estates is comprised of a little bit of everything, but my major roles would include market analysis, asset management, and investment/financial management. 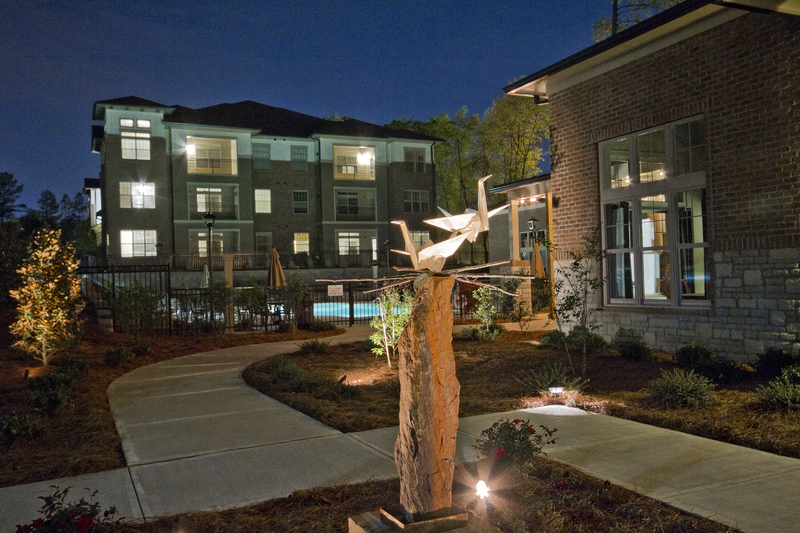 Placing art within our communities allows our properties to begin to tell a story while differentiating us from the typical apartment community. Each Estates property has its own identity and characteristics and we like for the artist to enhance on these qualities. Once we have located an artist that we think complements our communities, we give them a story and a vision that we see and let them build upon that vision. Our relationship with the artist is a very collaborative process so that the art and the community are cohesive. Also, Pinterest boards are highly used within our office to share our vision within our team! 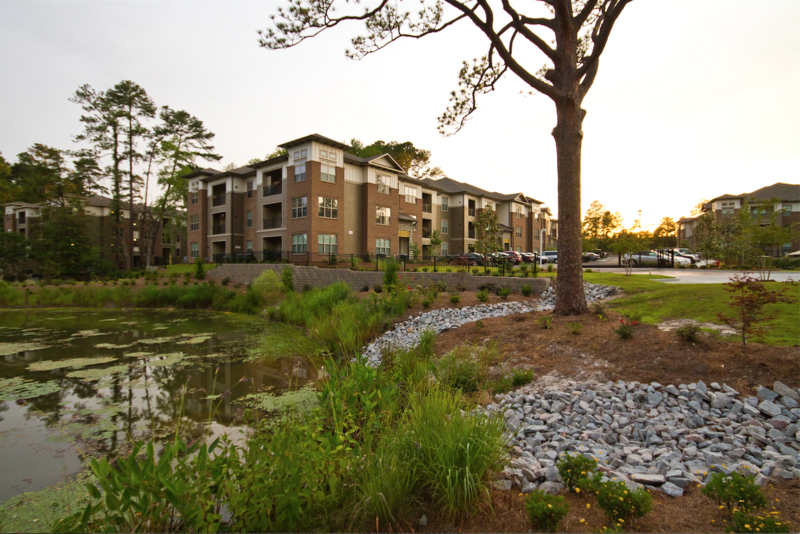 Roper Pond, known for its lily pads, lush green landscape, and wildlife, is centered in the middle of Arcadia’s Edge community. This pond became the inspiration and primary focus of design for green sustainable living at Arcadia’s Edge. Arcadia’s Edge was the first certified Green Living Community by NAHB in South Carolina. On a business trip in New Mexico an art￼ist named Kevin Box was discovered. Kevin Box’s sculptural work celebrates the delicate nature of paper in bronze, aluminum or stainless steel. Box’s studio believes in Reduce, Re-use and Recycle and uses recycled metal in the majority of their casting process and all of his work is 100% recyclable. 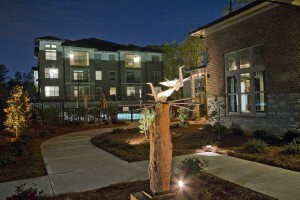 Kevin worked with our team to create an outdoor sculpture called Nesting Cranes. We love the opportunity to work with artists, whether they’re local or commissioned from outside South Carolina. Through our relationships with experienced artists and designers and our personal level of quality real estate development, we’re able to create a fusion of artfully crafted communities. 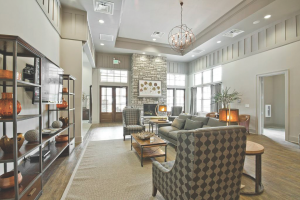 *All photos in this blog are from our Arcadia’s Edge community.